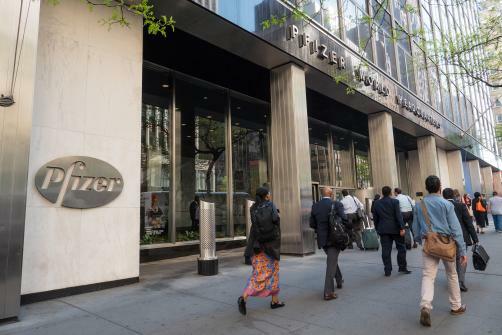 Pfizer’s Talzenna (talazoparib) has secured FDA approval, it has emerged. The poly (ADP-ribose) polymerase (PARP) inhibitor is now set to hit the market in the US in the treatment of deleterious or suspected deleterious germline BRCA-mutated (gBRCAm), HER2‑negative locally advanced or metastatic breast cancer. The decision was based on study data derived from 431 participants with a known deleterious or suspected deleterious gBRCA mutation who had previously not received more than three prior cytotoxic chemotherapy regimens for locally advanced or metastatic disease. Additionally, it was required that participants had previously received anthracycline and/or a taxane (unless contraindicated) treatment in the neoadjuvant, adjuvant, and/or metastatic treatment setting. The data showed that median progression-free survival stood at 8.6 months for Talzenna and 5.6 months for chemotherapy. Alongside the approval, the FDA also approved Myriad Genetics’ BRACAnalysis CDx test, a tool to identify suspected or confirmed deleterious gBRCAm breast cancer patients who are eligible for Pfizer’s newly approved drug.